Scoop tanks are perfect for layering over your bikinis during the hot summer months. 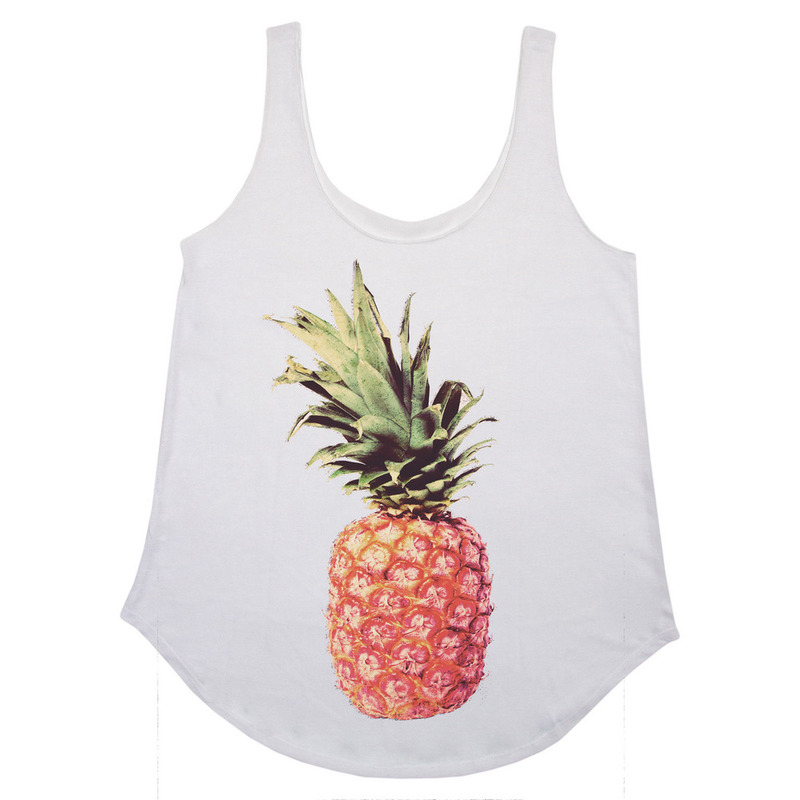 This pineapple graphic is quirky, fun and comes in both black and white colors. 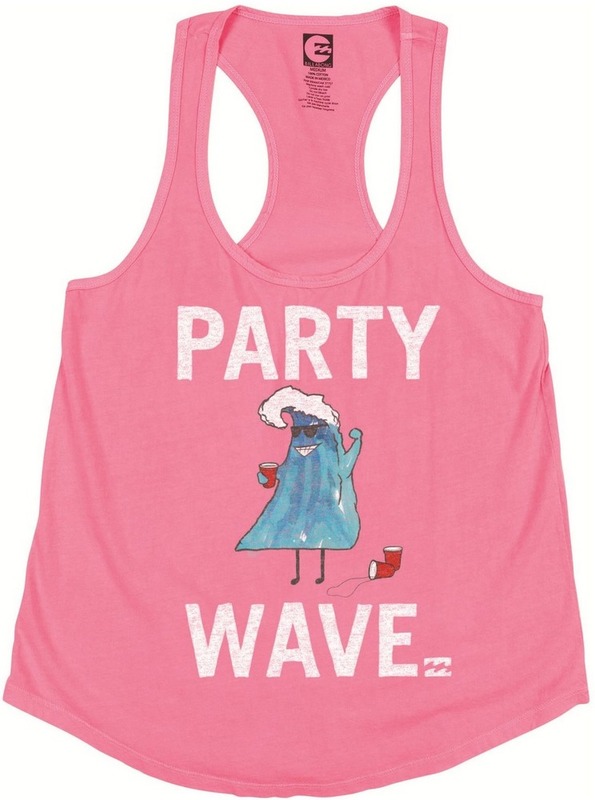 For under $25, this little tank is a definite must and can be worn all year long! This cute tank caught my eye immediately thanks to the flashy graphic sea shells. With its metallic print and scoop back, this shirt is perfect for those who like a little sparkle. And it’s under $20! Just make sure you turn it inside out when you wash it so that the graphics stay pretty! 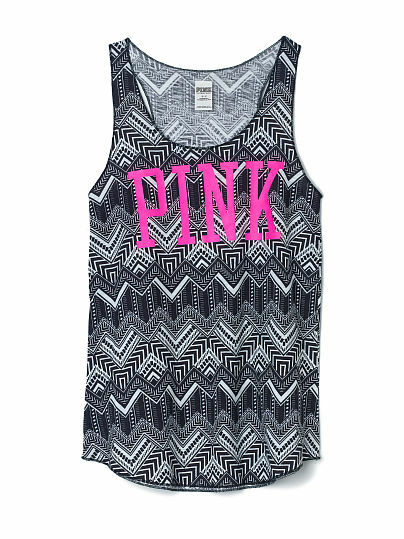 This cute tank from Victoria’s Secret hits the trifecta – tribal print, pink, and comes in a variety of graphics. Since it’s a sleep tank, it’s extra comfy and soft. If the tribal print is a little too bold for you, it also comes in solid colors along with the PINK logo. Now you don’t have to leave your PJ’s all day! What’s a summer shirt without a shaka? This shirt is super comfy and did we mention it’s reversible?? 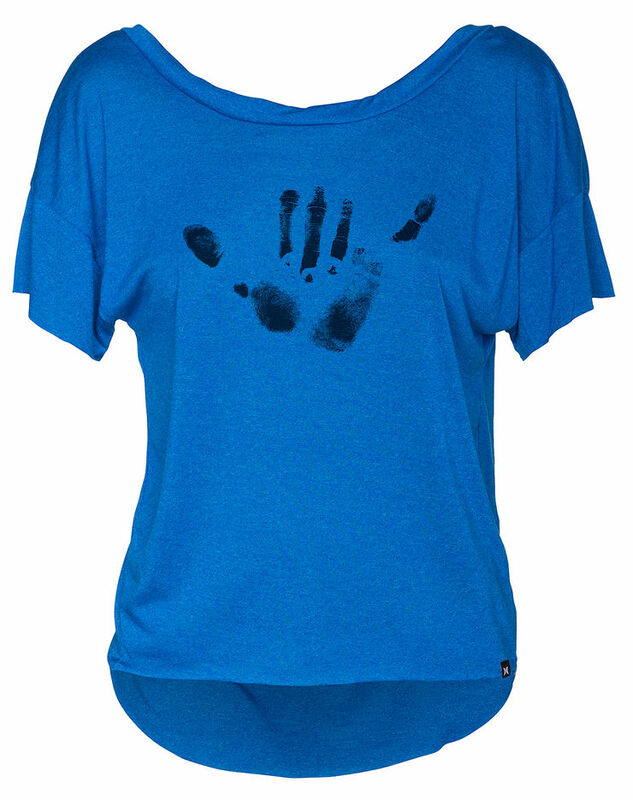 Wear it as a v-neck or a crew and alternate between the shaka and an “Easy Livin'” graphic on the other side. It also comes in three different colors so you’re basically getting two shirts for the price of one! Stoked!! I originally purchased this tank in white when I spotted it at my local Diane’s last year. It has now become one of my favorite tank tops! I pair mine with a colorful bandeau or just throw it on over my bikini. I always get loads of comments on it whenever I wear it haha and for the guys, the print comes on trunks as well!